The code for my scripts is now available on Github. Please feel free to help me to improve the scripts. I’m currently looking for a new job, preferably in the Asia-Pacific region but I would consider other regions as well. If you are hiring or have any leads, I would appreciate if you would drop me a message via the contact form, e-mail (daniel(at)spoodoo.com), Twitter, or LinkedIn. 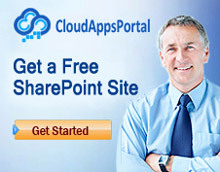 Hello and Welcome on my SharePoint Blog! This site is dedicated to the idea to collect all those little workarounds code snippets and useful tips that are sometimes necessary to make SharePoint do what you want it to do.